Meenakshi Narain, a professor of physics at Brown University, remembers working on the DZero experiment at Fermi National Accelerator Laboratory near Chicago in the winter of 1994. She would bring blankets up to her fifth-floor office to keep warm as she sat at her computer going through data in search of the then-undiscovered top quark. For weeks, her group had been working on deciphering some extra background that originally had not been accounted for. Their conclusions contradicted the collaboration’s original assumptions. Narain, who was a postdoctoral researcher at the time, talked to her advisor about sharing the group’s result. Her advisor told her that if she had followed the scientific method and was confident in her result, she should talk about it. This, she says, is the scientific process: A multitude of steps designed to help us explore the world we live in. Narain’s group’s analysis was essential to the collaboration’s understanding of a signal that turned out to be the elusive top quark. For particle physicists, says Robert Cahn, a senior scientist at Lawrence Berkeley National Laboratory, the scientific method isn’t so much going from hypothesis to conclusion, but rather “an exploration in which we measure with as much precision as possible a variety of quantities that we hope will reveal something new. Scientific inquiry is more of a continuing conversation between theorists and experimentalists, says Chris Quigg, a distinguished scientist emeritus at Fermilab. An important part of the process, he adds, is that the scientists are trained never to believe their own stories until they have experimental support. It’s also good to be tentative because “sometimes we see something that looks tantalizingly like a great discovery, and then it turns out not to be,” Cahn says. At the end of 2015, hints appeared in the data of the two general-purpose experiments at the Large Hadron Collider that scientists had stumbled upon a particle 750 times as massive as a proton. The hints prompted more than 500 scientific papers, each trying to tell the story behind the bump in the data. In the case of the 750-GeV bump, Quigg says, you could tell a story in which such a thing might exist and wouldn’t contradict other things that we knew. After collecting more data, physicists eventually ruled out the hints, and the theorists moved on to other ideas. But sometimes an idea makes it further than that. Much of the work scientists put into publishing a scientific result involves figuring out how well they know it: What’s the uncertainty and how do we quantify it? 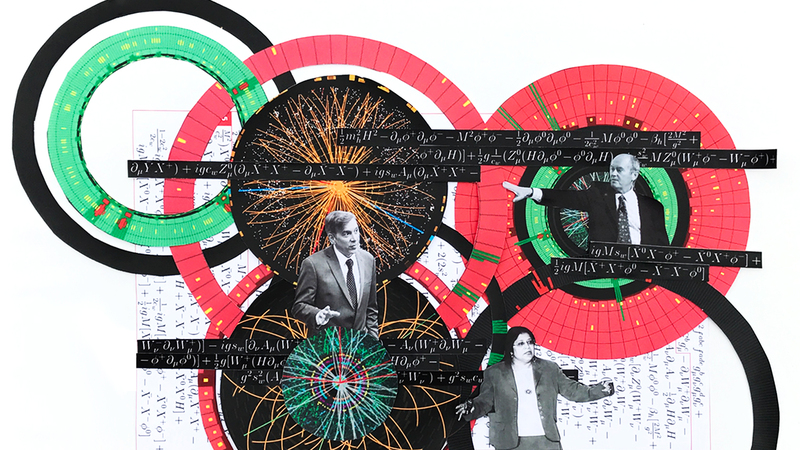 In a particle physics experiment, some uncertainty comes from background, like the data Narain’s group found that mimicked the kind of signal they were looking for from the top quark. This is called systematic uncertainty, which is typically introduced by aspects of the experiment that cannot be completely known. Careful study of your systematic uncertainties is the best way to eliminate bias and get reliable results. Physicists also must think about statistical uncertainty which, unlike systematic uncertainty, is simply the consequence having a limited amount of data. You can think of it as putting your hand inside a bag of M&Ms, Takai says. If the first few M&Ms you picked were brown and you didn’t know there were other colors, you would think the entire bag was brown. It wouldn’t be until you finally pulled out a blue M&M that you realized that the bag had more than one color. Particle physicists generally want their results to have a statistical significance corresponding to at least 5 sigma, a measure that means that there is only a 0.00003 percent chance of a statistical fluctuation giving an excess as big or bigger than the one observed. 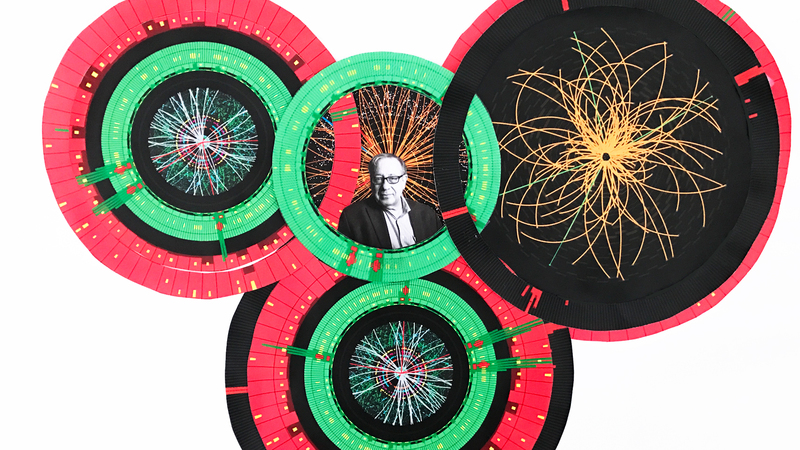 One of the most stunning recent examples of the scientific method – careful consideration of statistical and systematic uncertainties coming together – was announced in 2012 at the moment the spokespersons for the ATLAS and CMS experiments at the LHC revealed the discovery of the Higgs boson. More than half a century of theory and experimentation led up to that moment. Experiments from the 1950s on had accumulated a wealth of information on particle interactions, but the interactions were only partially understood and seemed to come from disconnected sources. This led to a generation-long effort to build an accelerator that would reach the extremely high energies needed to produce the Higgs boson, a particle born of the Higgs field, and then two gigantic detectors that could detect the Higgs boson if it appeared. Building two different detectors would allow scientists to double-check their work. If an identical signal appeared in two separate experiments run by two separate groups of physicists, chances were quite good that it was the real thing.